Home | Our Blog | What Is Net Energy Metering and How Does It Impact Solar Development? Once a niche market for early adopters and environmentally concerned citizens, solar energy is quickly becoming one of the greatest success stories of the renewable energy revolution. Prices have plummeted and PV technology has improved by leaps and bounds, putting solar power well within reach for the average consumer. Many of those who go solar today actually end up saving money, making solar power not just a smart move for the environment, but a sound investment as well. Along with economies of scale, technological advances, and tax incentives, net metering is one of the factors that has contributed the most to solar energy’s runaway success. But what exactly is net metering, and how does it impact solar development? Because solar energy comes from the sun, its energy production varies. During the day, many solar arrays produce more electricity than is needed. At night, however, it may be necessary for solar customers to draw from the power grid, as many do not have on-site battery storage. Likewise, power production ebbs and flows, depending on the season of the year. Long summer days provide ample opportunity to take advantage of the sun’s energy, but as daylight hours wane during the winter, more energy may be needed from the grid. Net metering allows solar customers to draw power from the grid when it’s most needed, and to sell their excess electricity back to the utility when their energy production outpaces their needs. It’s easy to see how net metering makes adopting solar energy a more attractive proposition – and it’s something your customers will want to know more about. Net metering allows energy consumers to save even more money by going solar. Even if they install PV systems that don’t fully address their power needs, they’re able to further offset their energy costs by selling excess energy back to the grid. Because solar systems reach peak efficiency during the middle of the day, they produce power when it’s most needed, offsetting expensive peak electricity purchases by the utility. Solar systems generate energy near their points of consumption, and when net metering is in place, they can help reduce the need for power grid infrastructure expansion. As net metering encourages more consumers to go solar, it also helps to create more jobs in the solar industry. These jobs often require skilled labor from the construction industry, a field that tends to be negatively impacted during economic downturn. 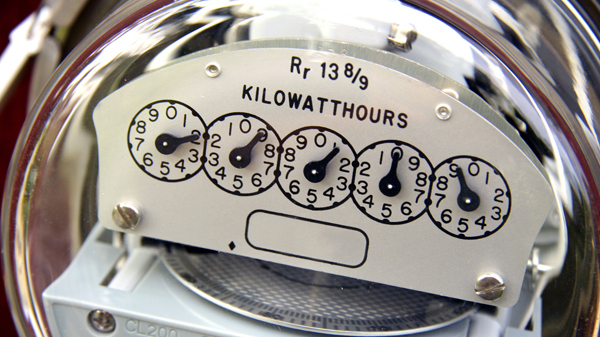 Can Your Customers Take Advantage of Net Metering? Forty-three states currently have net metering policies in place. As mandated by the Energy Policy Act of 2005, all public utilities are required to make net metering available to their clients. Net metering policies vary considerably by state. Some utilities credit power based on retail rates, while others calculate reimbursements based on wholesale electricity value. There is also substantial variation with regard to how long net metering credits last, how many credits can be rolled over from month to month, and the cost of monthly connection fees, where they may be applicable. Regardless of the fine print, net metering offers substantial benefits to solar customers who reside in cities and counties where it is available, and it can be used as a very effective selling point for an already attractive product.